I’ve been holding out on you. I made this recipe last year, but never had a picture and then it wasn’t pear season anymore, so I never got to share it. 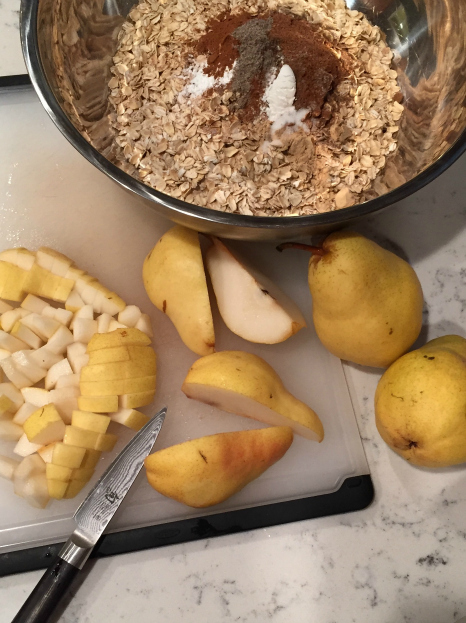 So this year, I got to it nice and early, so you can make it again and again while pears are easily accessible. 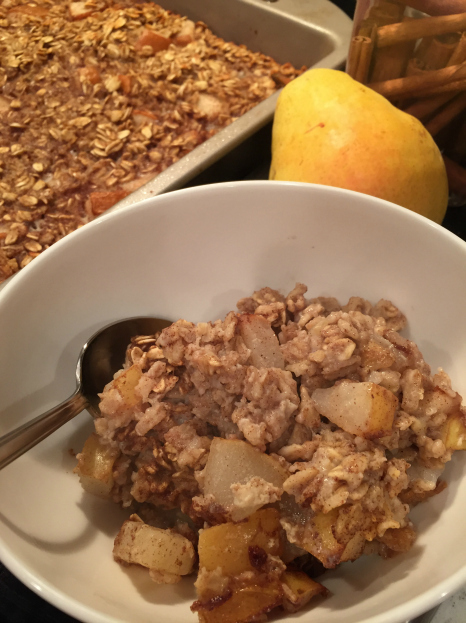 This baked oatmeal is awesome. The pears are sweet and partner great with the cinnamon and other spices. It’s moist and the oats reach the perfect amount of chewiness. I think the only thing that could make this better is adding some toasted pecans or walnuts on top, so if you like nuts give that a try. I’ve been loving cardamom (that’s for a 1 lb bag, so you can keep it in the freezer and just have a small jar of it) in my baked goods lately, it’s a wonderful spice that I use like I would cinnamon. It’s a very warm spice and is common in chai. If you’re feeling adventurous, give it a try, but if you don’t have any this is also great with just cinnamon. This makes a 9×13 pan, so it’s a great thing to have when company is in town, or you can just make it for yourself and heat up leftovers all week long for an easy weekday breakfast. What do you usually serve when you have guests in town? Preheat oven to 375ºF. Grease a 9×13″ pan with cooking spray and set aside. 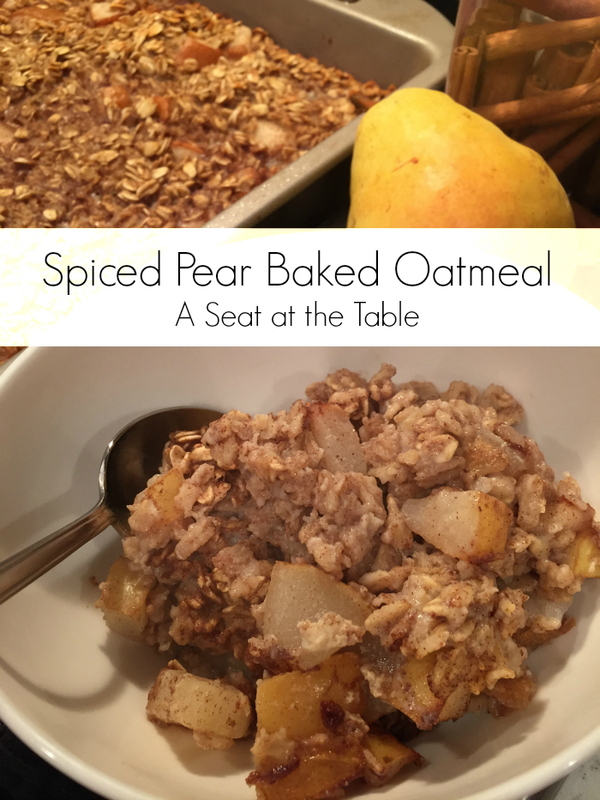 In a large bowl, mix the oats, cinnamon, cardamom, ginger, all-spice, nutmeg, baking powder, and salt. In a separate bowl, whisk together the eggs, milk, vanilla extract, and maple syrup. Stir the wet ingredients into the dry and then fold in the pears. Pour mixture into your prepared baking dish and bake for 30-35 minutes or until the center is set.